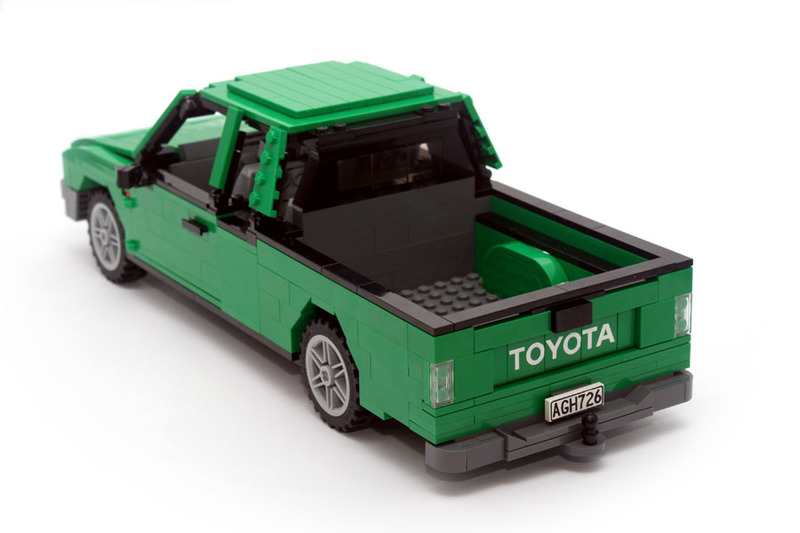 Model of a Toyota Hilux, 6th generation. 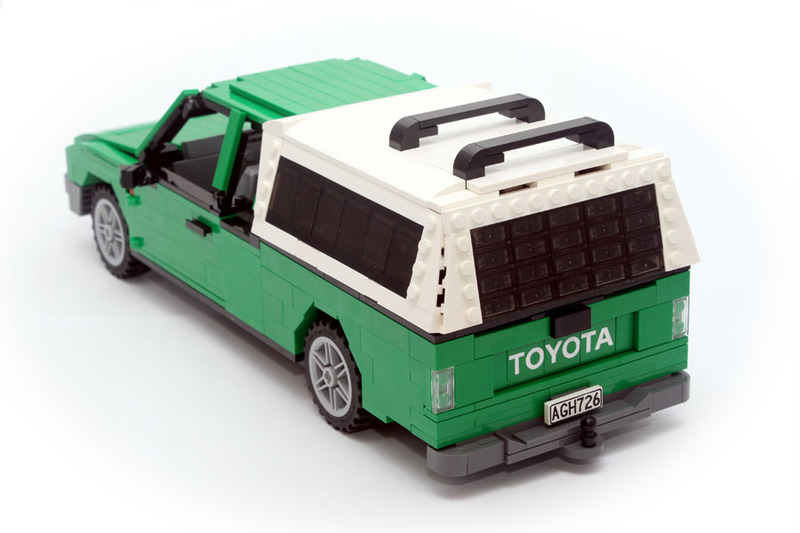 A 1:15 scale model of a Toyota Hilux, 6th generation, with removable canopy. 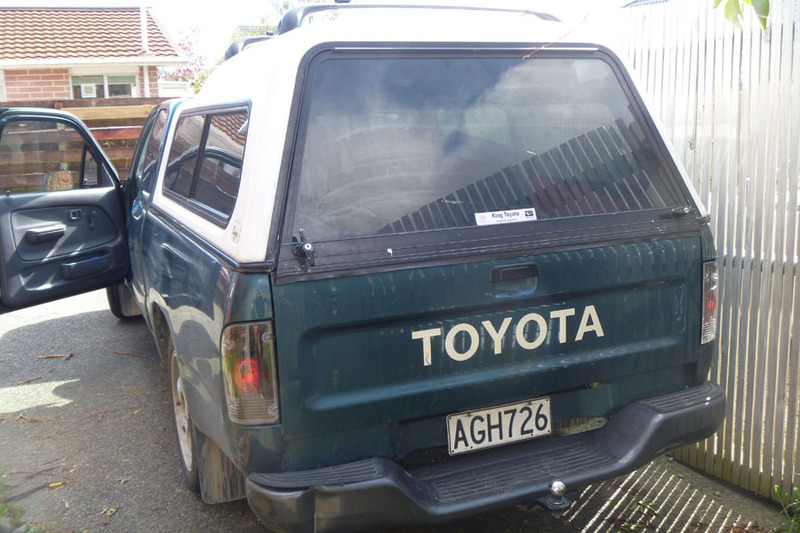 The Toyota logo is engraved and used with permission by Toyota Norge AS. 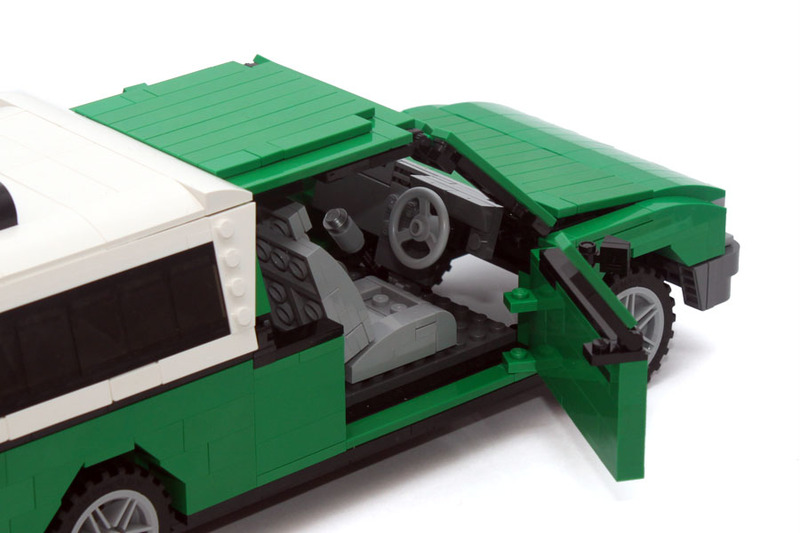 Solid and green car!!! Look at this! We don't get to see something like that every day! Very impressive. Looks very real. Awesome grasp on your piece usage. Toyota 4ever! :) Awesome work u made here! 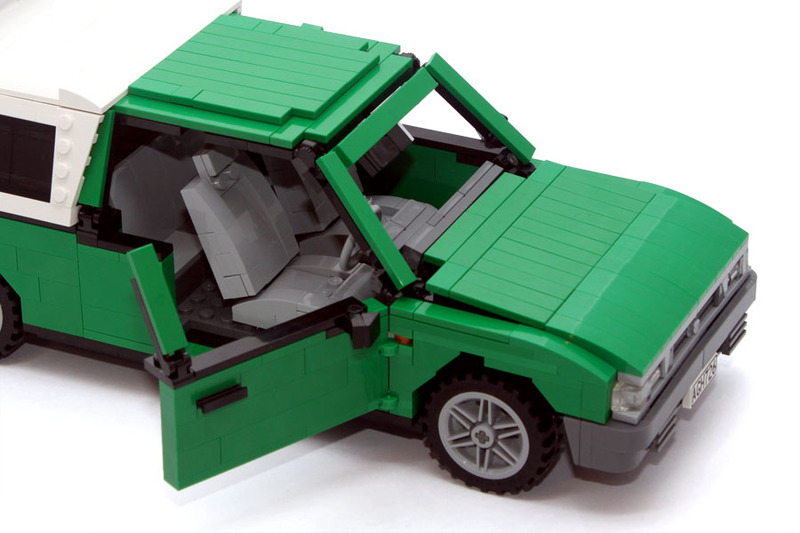 A very clean build, very good work! Wow, this is superbly accurate, well done! My father had one like this in black. This is a very nice model that looks very like the original. I agree, but the timing was very tight and at some point I had to decide it was enough. Impressive! Quite like the original! Wow, this is insane! One of the best trucks on MOCpages! 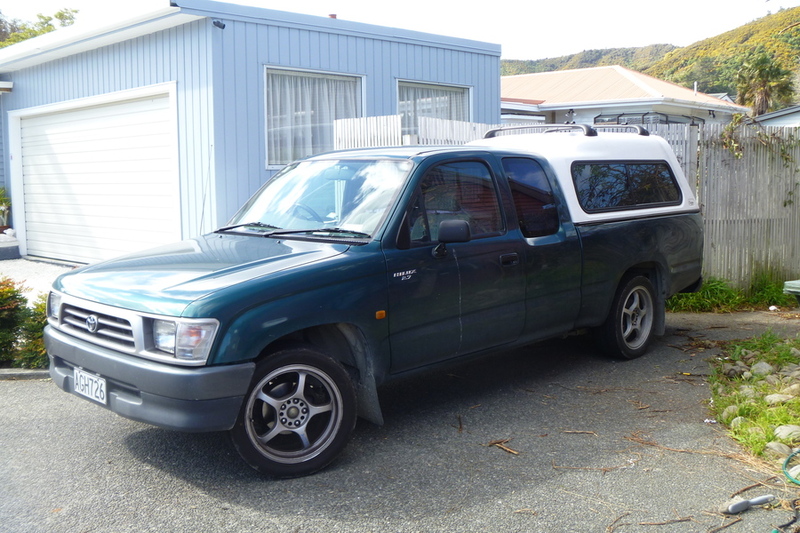 An amazing Hilux, the truck proved by Top Gear to be the strongest pickup! I like all the details, great job! 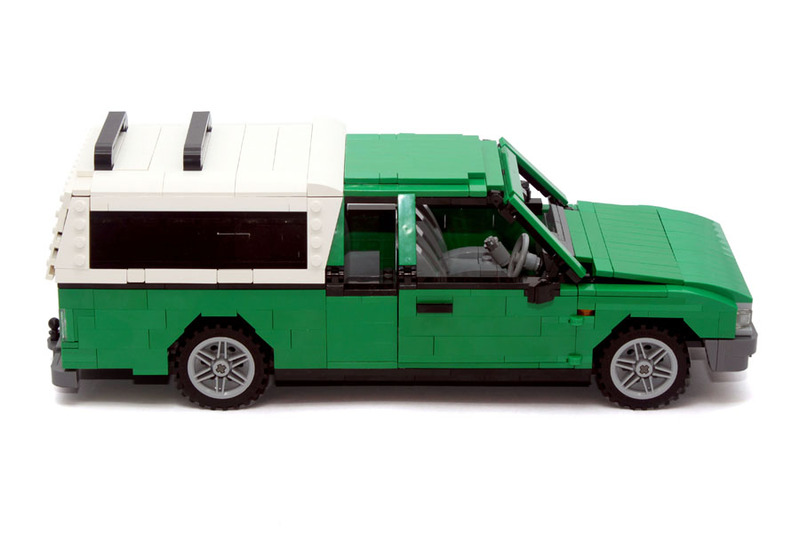 Great build, very cleverly done! Brilliantly detailed. This looks so much like the real thing. Top work! 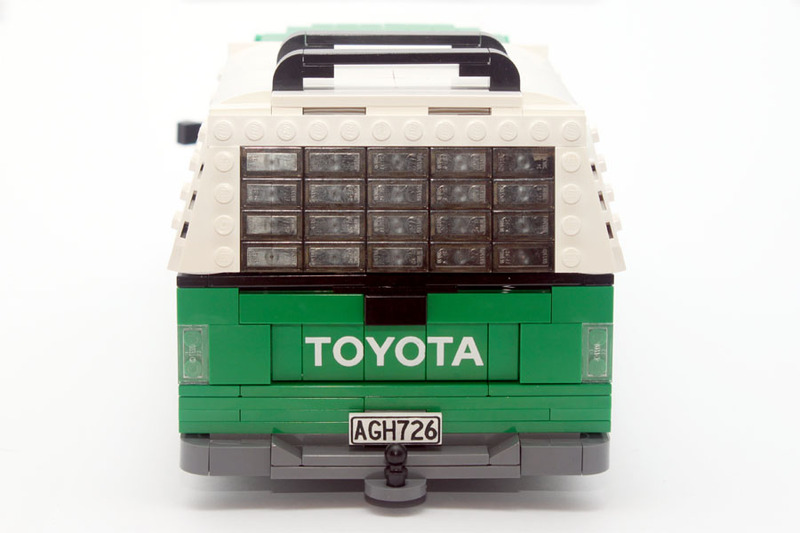 Cool, as a big Toyota 4x4 fan I really appreciate it! Excellent! I really like the colour choice. 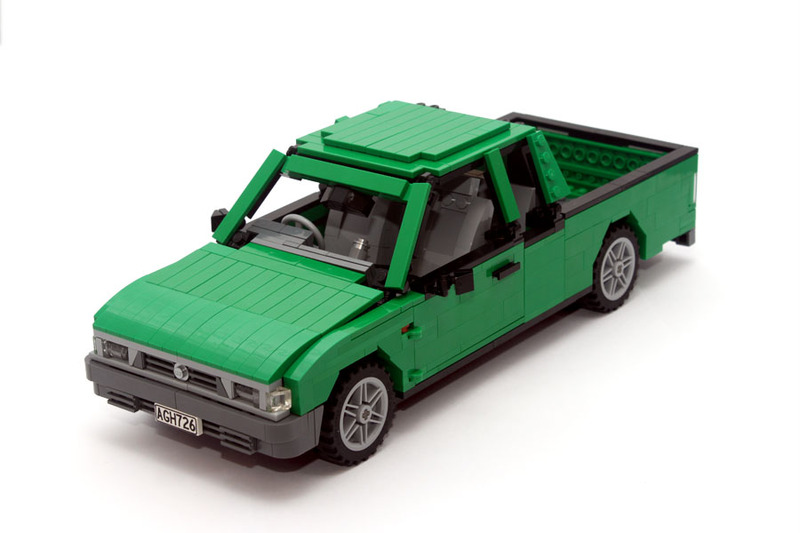 A very fine build of a Hilux. 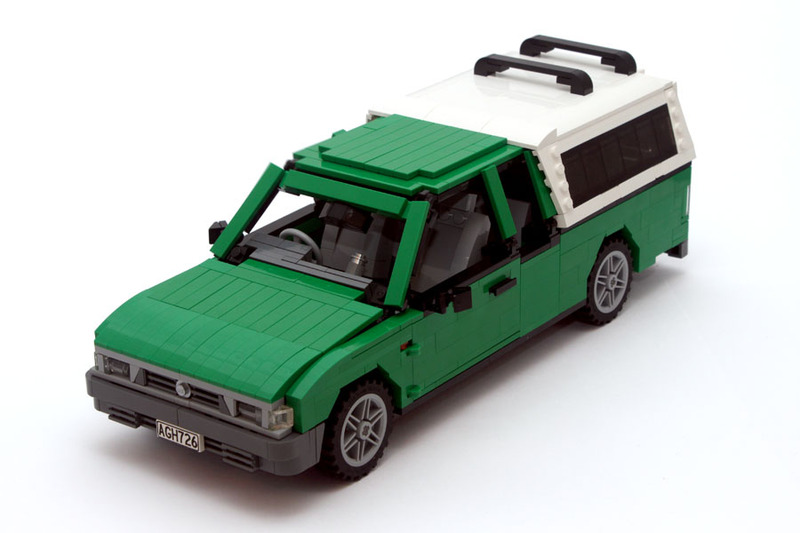 You did excellent for that scale, and really love how you made the front lights, and the whole front overall.